I still have vacation brain, so instead of a full length post today, I thought I’d share some photos from my trip last week to Costa Rica…and pretend I’m still there for a few more minutes of hiking, swimming and animal watching. Enjoy the pics! 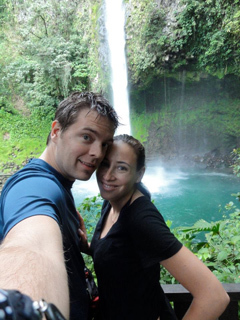 My boyfriend Jason and I after taking a dip in La Fortuna Waterfall in Arenal on our first day in Costa Rica. We had to climb 500 steps to get back to the top. 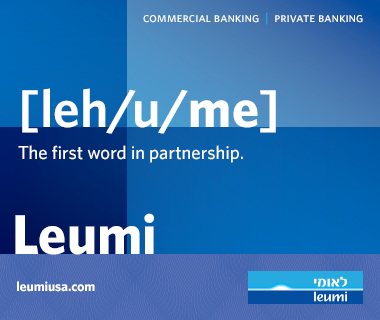 For those of you who’ve gone on the Birthright Israel Jilabon Hike, this was a lot like that. 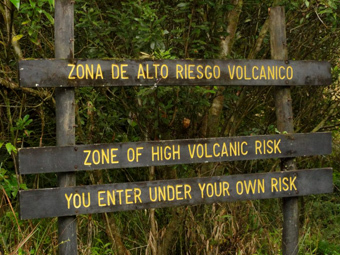 The sign when you enter Arenal National Park, home to one of the many volcanoes in Costa Rica. This volcano is considered the second most active volcano in the world, second only to a volcano in Hawaii. Us standing on top of volcanic craters leftover from the eruption that took place in 2001. Our tour guide said from this point, we’d have seven minutes to get out of the park if the volcano erupted. Great. The wildlife in Costa Rica is amazing. 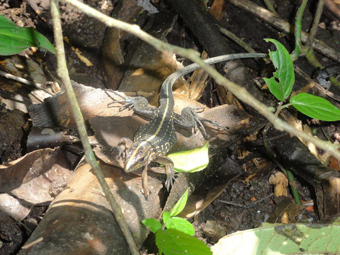 This was one of the first of many lizards we saw while hiking. 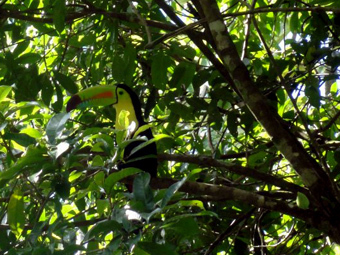 The most colorful bird in Costa Rica, otherwise known as Toucan Sam. Did you know that Toucans mate for life, (my kind of bird) but they’re also mean? 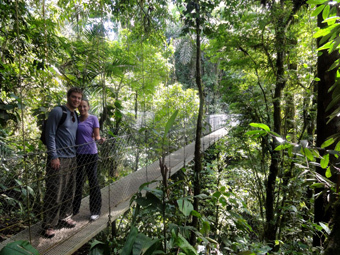 Crossing one of the hanging bridges in the rainforest in Arenal. This was my favorite hike in Costa Rica— if you plan a trip here, make sure to include the hanging bridges tour in Arenal in your itinerary. 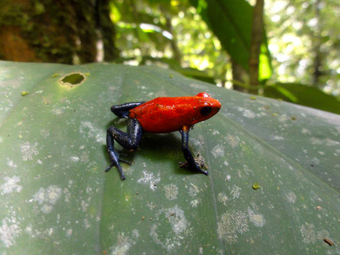 This little guy is known as the blue jean frog and is extremely poisonous. 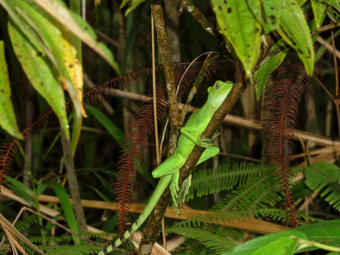 He was sitting on a leaf about a foot from us on the trail in Arenal. 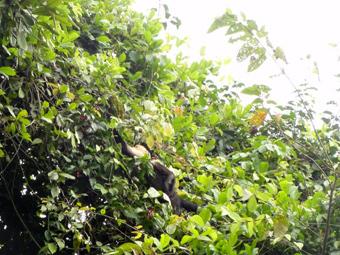 You can see monkeys everywhere you go in Costa Rica. This one is a Howler Monkey, he can be heard “howling” up to a mile away. After this picture was taken, one of his monkey friends decided to pee on the tourists next to us on the trail in Arenal. Glad we got out of his way! 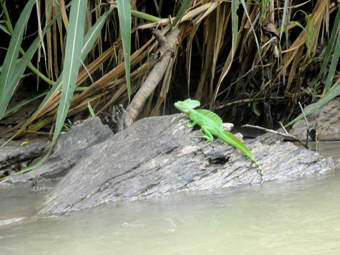 This guy is called the Jesus Christ lizard because he can run on water. Unfortunately, he was being lazy and refused to “perform” for us. I think he resembles a miniature dinosaur. 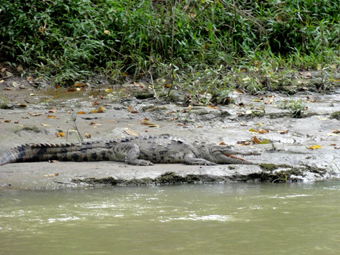 We took a blow-up boat (so safe) down one of the many rivers in Costa Rica and ran into a bunch of these guys. They’re territorial (and mean) so you only see one at a time. We saw about a dozen on this river, which was about 11 too many for me. My favorite moment of the trip was visiting a hermit family that lives on the river. The father is 99 years old and lives with two of his daughters on a farm. The house had dirt floors, no running water or electricity and only a roof. They fed us delicious homemade cheese, coffee and tortillas and I got to practice my rusty Spanish for a few hours. It was the highlight of the trip— even though I had to get past these guys to get there. Jason took this photo right outside of our hotel room in Guancaste. 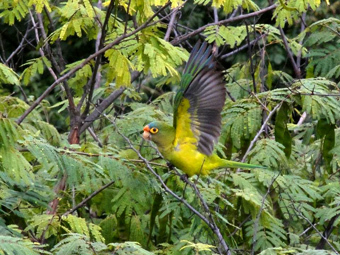 There were more than a dozen parrots in the tree at the time. They started to take off when we came out of our room to go to dinner and that’s how he got this awesome shot. 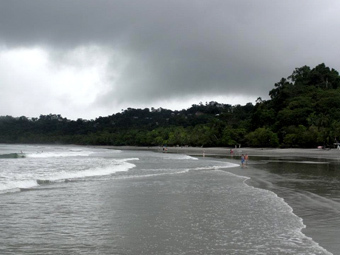 This is one of the beaches in Manuel Antonio— my favorite area of Costa Rica. We barely got to spend an hour in the water before it started to downpour for ten hours straight. You can see it getting very ominous in the clouds. 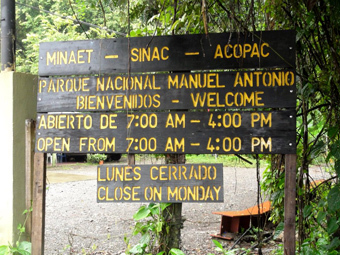 The entrance to Manuel Antonio National Park. 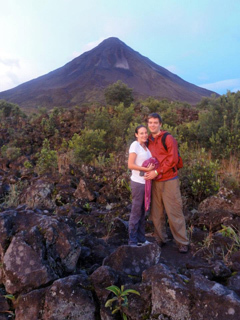 Another “must see” spot for anyone visiting Costa Rica. There are tons of trails and you can get lost (literally) for hours following the wildlife. 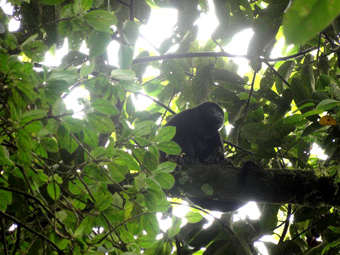 We saw this Spider Monkey in a tree as we were leaving the Manuel Antonio National Park. So adorable! Bye little guy, bye, bye Costa Rica!